According to many tutorial, when you want to use Cordova with create-react-app you should eject the create-react-app. But that was not the way I wanted to go. So instead of it, I have decided to keep create-react-app, then create cordova project and copy-paste this project into create-react-app project. So far it works like a charm, so here is the tutorial. Install the Create React App CLI. And now comes the little trick. Take everything except package.json from your cordova project and paste it into your creat-react-app project. Now you have working cordova in your create-react-app. But some things have to be adjusted in the create-react-app package.json. We have to merge these two. Notice the “move” command that is added to scripts. All it does is move content of build folder into www folder. That is the place where Cordova and create-react-app are connected. 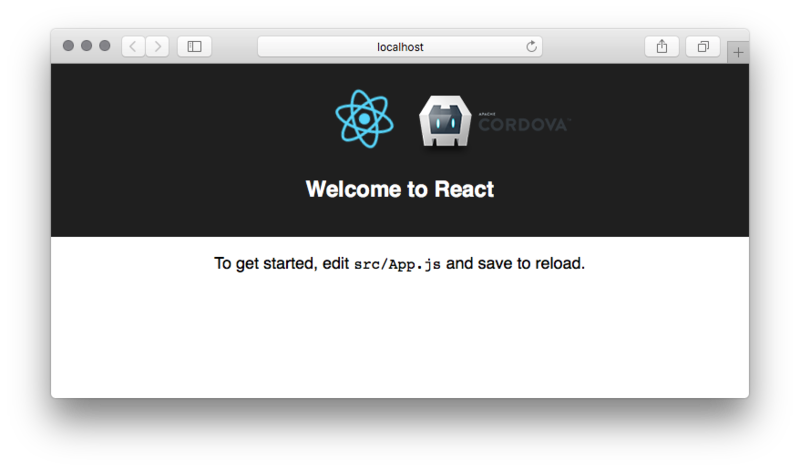 By default create-react-app builds into the dist folder, but Cordova needs www folder. I think it’s really small shorthand in compare with ejecting create-react-app and you can really easily automate it with any build tool you like. If you are using <Router> in your project change that to <HashRouter> otherwise you’ll see a blank display as nothing will get rendered to the screen. Nice thanks you for this tutorial, it works fine ! Nice.. Been looking for this.